Stroll out of this beautiful 6 month old apartment building and the world is at your doorstep. Take the new light rail to the beach; wander up to Market Town shopping centre; enjoy a drink at one of the many bars along Honeysuckle harbourfront; or walk to the beautiful coffee shop downstairs in your building for breakfast... perhaps catch the train to the University...it's all so very easy from this beautiful apartment right in the heart of the city. 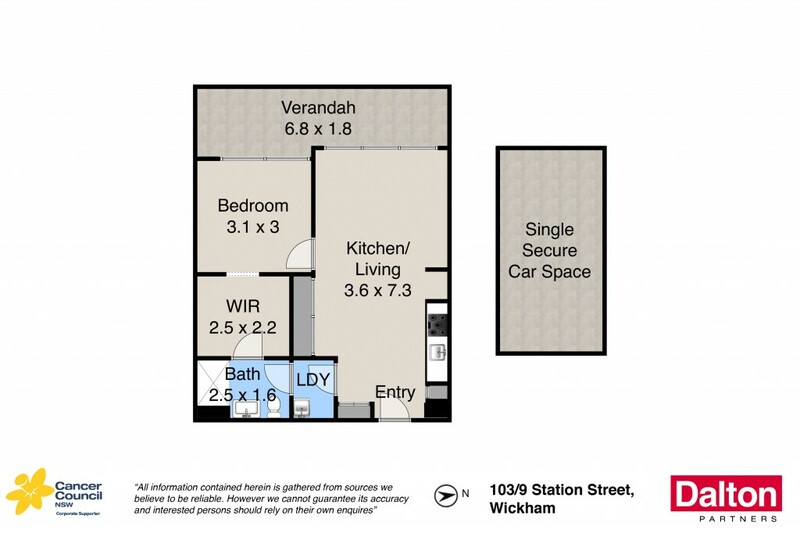 A large balcony with privacy screens offers extra living space from the apartment which offers timber floors, dishwasher, air conditioning, enormous walk in robe and a stunning bathroom plus full laundry. * Beautifully appointed bathroom tiled to ceiling. * Separate full laundry for convenience. * Secure parking with entry on same level as apartment - so convenient. * Storage cage for the odds and ends you don't often need. * Beautiful timber floors and a generous balcony. * Air conditioning, dishwasher and heaps of internal storage. * Just 6 months old and offering so much for the outlay. * An ideal home for the city worker or great investment.